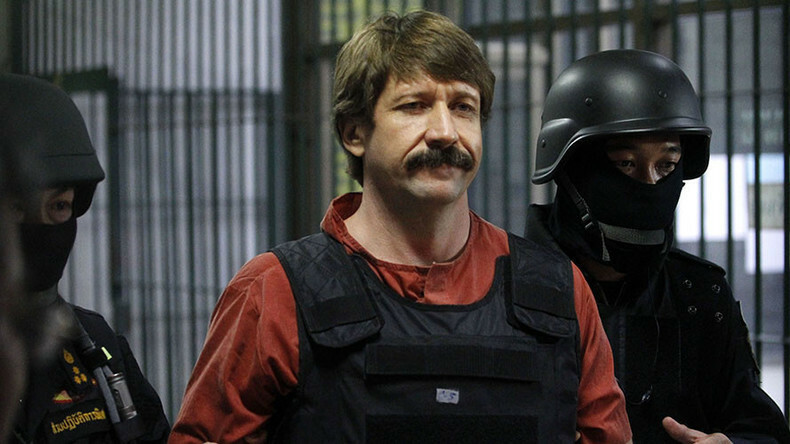 Dubbed ‘the merchant of death’ in the West, Russian businessman Viktor Bout, sentenced to a quarter-century prison term in the US, has shared his thoughts on Washington’s broken criminal justice system and political motives behind his case in an exclusive interview with RT. Bout, the Russian owner of an international air transport company, is currently serving a 25-year jail term at a Penitentiary in Marion, Illinois. 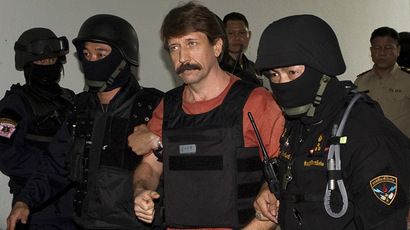 He was arrested in Thailand in 2008 in a sting operation by Drug Enforcement Administration (DEA) agents. It took more than two and a half years to extradite Bout to the US, where in 2012, he was eventually convicted of conspiring to kill American citizens by allegedly selling weapons to the Revolutionary Armed Forces of Colombia (FARC). In addition to slapping a quarter century prison term on Bout, US district judge Shira Scheindlin also ordered a $15 million forfeiture. Having already spent nine years behind bars, Bout, 50, has expressed little hope, “Follow the money, as they say here,” he said. Bout says the DEA agents came up with a “perfect embezzlement scheme” to compensate for his costs to the US justice system. “Look how much money they spent on me and where this money has gone,” the Russian inmate noted. Last year, Judge Scheindlin described her ruling to be “excessive and inappropriate,” noting that there was no evidence that Bout would have committed any crime if he was not targeted by the sting operation. 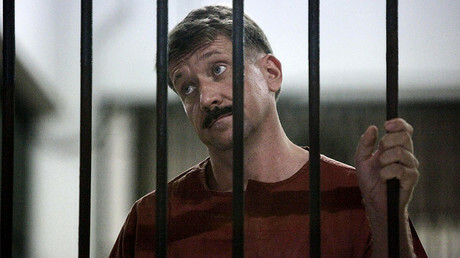 Bout’s sentencing came after the US government portrayed “the merchant of death” as one of the world’s worst villains, capable of empowering dictators in war-torn countries by supplying weapons that they could turn on their own people. “They can demonize anybody starting from me, who’s a nobody, just because they need to spend money on something. They have other geopolitical tasks, like to demonize Russia, Putin or even Trump,” Bout noted. In April, the Supreme Court rejected his defense team’s appeal to review Bout’s case. His lawyers claimed in the appeal that prosecutors had concealed evidence that could have affected the initial court ruling. The Kremlin has repeatedly condemned Bout’s sentence, calling the court’s decision political and groundless. Bout says he doesn’t hope that his case will somehow get influenced by the Donald Trump administration, noting that the new US president “flip-flopped 180 degrees back" on many of his promises made during the election campaign. “He tried to drain the swamp, but it looks like he drowned himself in that same swamp,” Bout said.